You have my condolences. Take your time; this is far more important than a fan film. Take care. I can only echo this. I have lost grandparents and my parents over the past few years, Time is what you need, by all means take all the time you need. You have my best wishes. Last edited by Mr Questionmark; 04-12-2008 at 11:12 AM. I could make this Control panel... i know exactly how to build it. Today we had our first REAL pre-production meeting where my team and I sat down and tried to figure out the challenges of creating all the sets and props needed. It was so exciting to officially get the ball rolling!! One of the first comments made by our chief designer was “They must have been on a budget.” as he and two of my other designers began to dissect the set and handlink in great detail. These guys are absolutely amazing, folks. Not only can we recreate this set to exact detail, but it will look absolutely phenomenal. Its amazing how many tricks set designers can come up with to recreate certain pieces and props. Office storage units. At least that’s our best guess. They were widely produced in the late 80’s, and are off the market now. And see the silver looking backdrop? You would be amazed at how easy that is to reproduce!! While I don’t want to give away any trade secrets just yet, we can effectively reproduce an authentic working handlink (no sounds) for under $70, complete with blinking lights. Don’t worry, I’ll pass along a “how to” later in the summer as we are constructing sets and props. Our next pre-production meeting is set for March 29th where we’ll figure out where this set will be constructed, and how many materials we’ll need. Also, our open auditions are scheduled to take place on the same day, and you all should see the applicants that are rolling in… every one of them are tagged with “I loved Quantum Leap! !” One of our candidates was even in "Risky Business"! Lots of excitement to come, folks. Stay tuned!! Chris, my deepest sympathies on the loss of your father. Thank you all so much for the kind well wishes and good thoughts. Its been a rough two weeks, but things will get better. Its all about what we make it, and I know Dad would have it no other way. Thank you. My prop guys have begun on the handlink, and I'm thrilled to share some of their progress with everyone. It was some very good progress to see despite everything going on. This isn't the final version though as they will be installing lights soon and adding the finishing touches. @ NeuroMason: Sir, perhaps we can discuss a control panel via e-mail? I'm certainly interested! Here is my e-mail address if you'd like to discuss that. Thanks again for the very kind sympathies. Looking like a good start! So when do we find out what materials you used and their source? The two guys were sub-contracted out through my co-producer, and I've only spoken with them once. I don't know what materials they're using, but I'll find out soon. 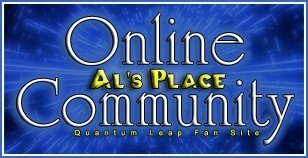 I am very pleased to announce our cast for the fanfilm, Quantum Leap: A Leap to Di for. We're still looking for our 'Al', so as soon as I cast that role, we'll let you know! I'm also very pleased with our 'Sam'. With our limited resources for talent, I know Joshua will be an fantastic job. 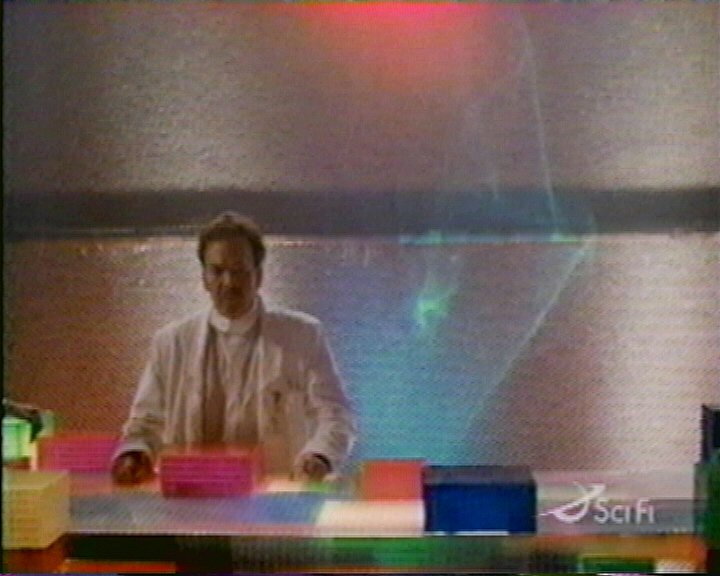 If any of you have seen my other fanfilm, Star Trek vs. Batman, you may remember him as Captain Kirk. Good looking cast there Chris. I've been away from the board for a while and only catching up now. Sorry for your lost mate. Can't wait to see Al! Yes, I'll have a Gooshie, but no Tina or Verbeena. I'm working on voicing Ziggy with an unannounced surprise guest. Thanks Ziggysego for your kind thoughts. He may not be Scott, but I have to admit, your Sam's a nice looking guy! *weakly* Not that that matters, or anything... Nice looking cast! Correct me if I'm wrong, but isn't Samantha Fuller, Sam Beckett's daughter? Joshua Ramsey looks too young to be Sam Beckett especially if he is supposed to have fathered a full grown Samantha Fuller. Well, Sam fathered her in 1966, so her age for the Project's current time is fine. Unfortunately, expectations for a full-fledged film production can’t be placed on this. We’re doing the best with what we have. It’s a fanfilm. Thanks LadyKayoss! I’ll pass that along to Josh! Oh, I forgot to ask is there going to be a Donna? and is this post mirror image or not going to touch on it? This is going to be so cool! -- Sorry to repeat myself but it is!! Thanks Janna! It is going to be way cool and I can't wait to shoot this! No, no Donna in this one unfortunately. I wish I could have put all the classic characters in this one. We had our first cast rehearsal yesterday here at our ranch, and had a fantastic time! Here are some pictures! I'm so glad we have a three month head-start on this. One can never have enough planning and pre-production! Preety big shoes to fill, to be Sam. Can't wait to see the result. We found our Al! Yippie! Oh gosh... it puts a lump in my throat just to think of someone else playing Al. But I'm sure he'll do a great job! He looks good for the part. How will this film be distributed? Will it be released in the cinemas and if so, will it be shown in Australia? If it is going straight to DVD will it be available in Region 4?